I’ve always loved to write, I’ve always enjoyed reading and I’ve always loved books. Clayton Green library was like a second home to me when I was a teenager. The library staff knew me by name as I would be there every single day in the long summer holidays. I could be found sitting in the corner reading books as my library card only allowed me to take four library books away. I could read four library books in a couple of hours back then. I am talking Sweet Valley High’s Wakefield sisters rather than the Bronte Sisters, so the books were thin rather than War and Peace volume. I enjoyed being in a fictional world with characters that I would never come across on a Saturday afternoon in Preston. I also loved to write my own stories using those fictional characters that I read about. Secretly, I longed to see my name on the front of a book cover like all of those famous authors whose work I enjoyed. I would wonder whether Francine Pascal or Jackie Collins would get excited about seeing their words in print for the public to see. I bet they did. 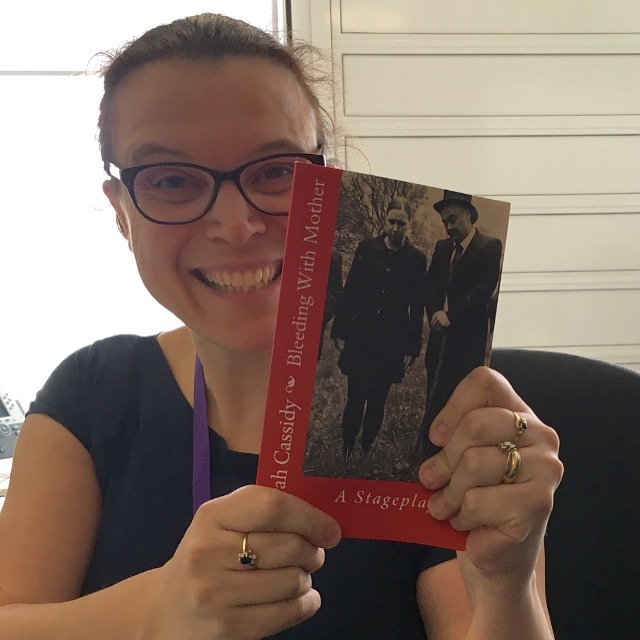 So I’m delighted to say that tomorrow afternoon I will be spending an hour taking part in a book launch for Write for the Stage Publications (WFTS) and my first play Bleeding with Mother is on sale. I still can’t quite believe it. A play written by me, in print, with my name on the front cover. 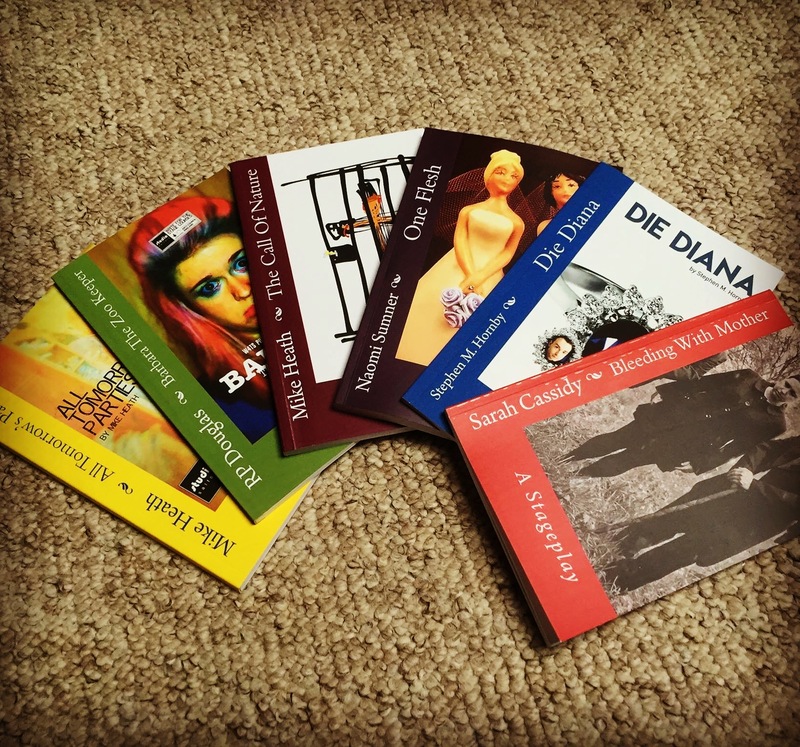 If I never do anything again, at least on my bookshelf which is stacked with printed copies of stageplays and screenwriting bibles; Willie Russell, Lena Dunham, Blake Snyder and Robert McKee is now a Sarah Cassidy. Does that mean I can say that I’m a proper writer now? 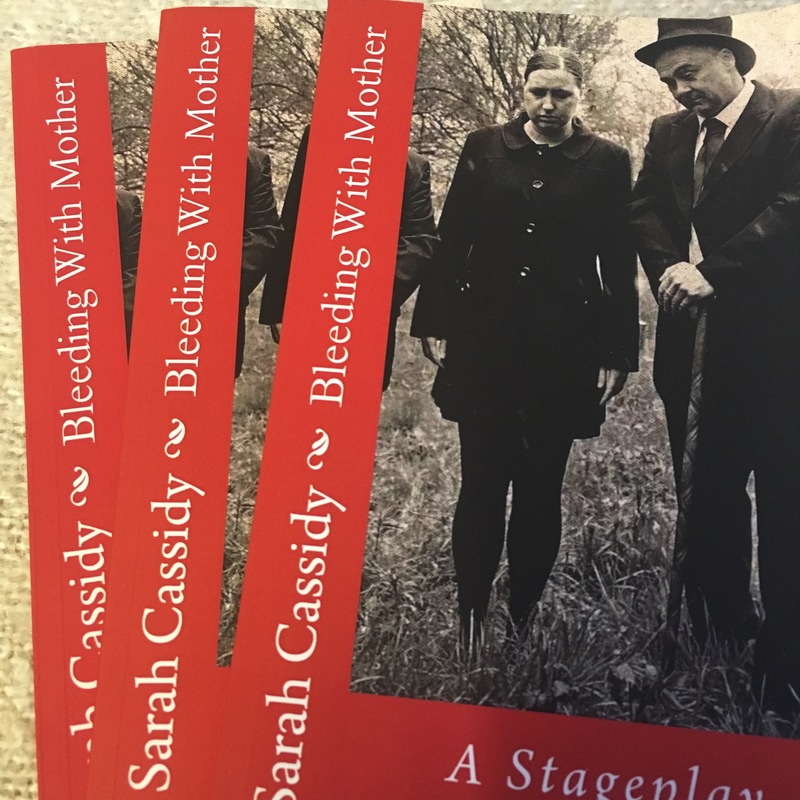 This entry was posted in Bleeding with Mother, Blog, Manchester, Plays, Writing and tagged Bleeding with Mother, Fringe, Greater Manchester Fringe Festival, Manchester, playwright, publishing, Sarah Cassidy, theatre, WFTS, Write for the Stage, writing. Well done. I guess it takes a book in print to make us feel that we are real writers but you’ve been a writer a long time before that. This though is what we all aspire to – a book with our name on on it, in a book shop for all to see. Enjoy this moment and all the best for future writing.